The phishing link leads the user to a page outside of Facebook that’s been designed to appear similar to a typical Facebook entry form. The first page includes such fields as name, email, Facebook password, email password and security question. If a user enters all the information and clicks confirm, the next page asks the user for the first six digits of their credit card number to confirm identity. If a user continues and clicks confirm again, they will be prompted to update “Facebook” with current credit card information including name, billing address, full credit card number, expiration date and the security code that goes with the card. 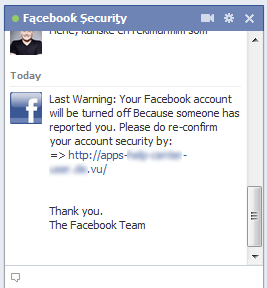 Officials at Facebook are reported to be looking into this version of a phishing attack. Another recent attack pretends that Facebook has teamed up with Apple to give out free Apple products such as the iPad 2 or the iPhone 4S. Claiming to be Mark Zuckerberg within the Facebook message, Facebook users are asked to provide personal information as well as financial information to cover a shipping and handling fee for the free prize.